Need a source of shade for your summertime event? 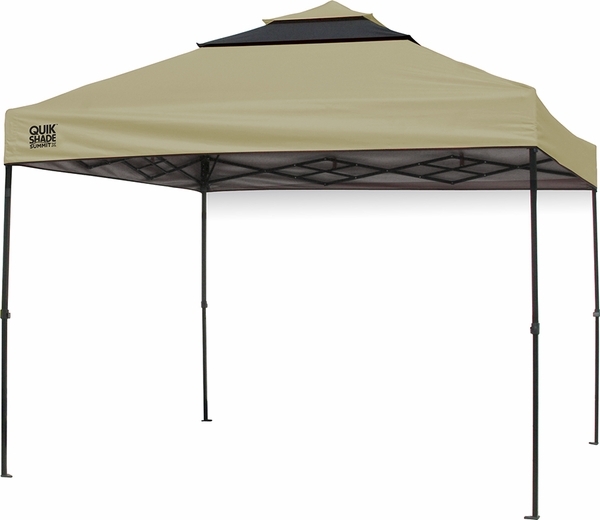 Check out our Quik Shade Summit SX100 10x10 Vented Instant Canopy. Why do we call it "Quik Shade"? Because there's no assembly required! All you have to do is remove it from its wheeled bag and set it up. You will love our Super Vent system, which allows for shade but also accommodates air movement and the venting of warm air that can build up under the canopy. The frame is tough, high-quality powder-coated steel. This model provides nearly complete protection from UV rays and comes with a one-year limited warranty.